There are few healthier, happier signs of a blooming garden than the sound of bees buzzing around your flowerbed. Sadly, bees have become a less common sight in recent years, and need a bit more encouragement to show their stripes and do their crucial pollinating work. 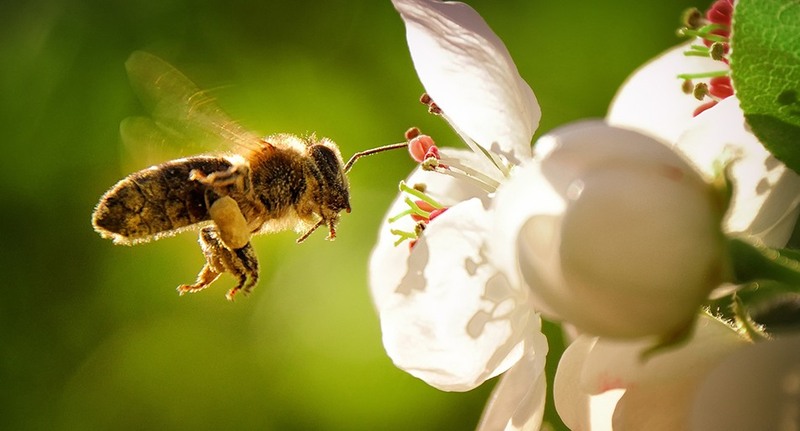 What can you do to make your garden a bee-friendly place? Modern farming methods are reducing the diversity of plant and insect life. This has had a knock-on effect, disrupting the bee population around the world. However, with some creative gardening, you can do your bit for local bees and liven up your flowerbed at the same time. The single most important factor is diversity — planting a wide selection of flowers that are native to your region and give bees what they need all year round. You can also make your garden friendlier to bees by letting nature take its course. For example, by allowing your grass to grow long, you’ll see bee-friendly daisies and dandelions pop up. And instead of using pesticides, try using companion plants to repel harmful insects and avoid harming the bees. Checkout this infographic – brought to you by Budget Direct Home Insurance. This provides a guide to turning your garden into a bee haven. It’s straightforward and fun, and you can start work on it today. A healthy bee population is vital to our ecosystem and it’s also a pleasant sight to witness! Take care of the bees in your area, and they’ll take care of you.